The Wonderful Story of Britain: The Wise King Edward. 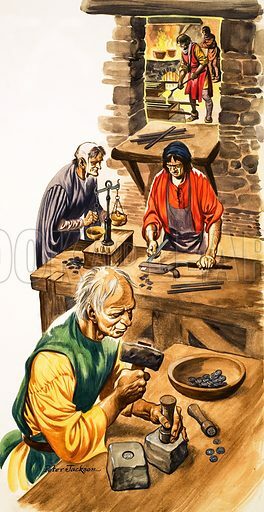 Coin-makers making silver pennies at the mint. Original artwork from Treasure no. 49 (21 December 1963). Available worldwide for immediate download up to 2,873 x 5,570 pixels.